From left: Mitch Trager, Ben Turner, Sherrie Ricker, Jack McNeese, Kim Warren, Len Piedmonte, Robert Howren, Winifer Tong, Jaime Doronio, Owen Autry, Thomas Bynum, and Russell Coffee. 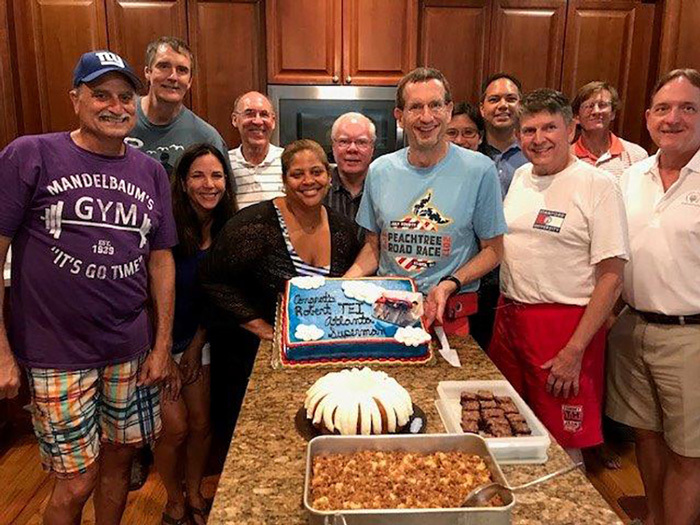 The TEI Atlanta Chapter’s current and former board members celebrated Robert Howren’s election as TEI’s 2017–2018 international president at a cookout on July 15. He is the first Atlanta Chapter member to serve as international president since 1999.